Mr. Collards' functional expertise lies in operations, strategic planning, sales and marketing, manufacturing, engineering, finance, and equity investing with extensive experience in transition into new market segments and defense conversion. EMPLOYED BY: Strategic Management Partners, Inc.
One of the country's leading experts in interim executive and transition management, corporate renewal, governance and defense conversion, with experience in the following industries: Government Contracting; Computer Processing/Services/Software; Defense Electronics; Engineering and Management Services; Communications; Instruments and Related Products; Marine Services; Real Estate Development; Import/Export; Security Systems Services; Health Services; Commercial Printing; and Manufacturing (job-shop, discrete, process). Strong strategic planning, financial, sales and marketing, engineering and operational acumen with 30 years experience in large and small companies, including President of public and private companies, running applications engineering, software, services, systems integration, and manufacturing operations providing solutions to Commercial, Federal, and International markets. Companies range in size from start-up to $100M. Extensive experience starting up business units, turning around those in trouble, capturing new business, deal structure, identifying and dealing with the issues, building organizations, and P/L management. Unique success repositioning companies to become more competitive; transition planning; identifying strategic business initiatives. Negotiated over 40 acquisitions, start-ups, roll-ups, and divestitures worth $730M. 1993 recipient, TMA award for Outstanding Contribution to the Corporate Renewal Profession. Mr. Collard is the founder, Chairman of Strategic Management Partners, Inc. He formed SMP, based on the premise, to enhance stakeholder valuation you must influence change and manage the transition in a company's direction. SMP is a full service transition and interim management firm specializing in valuation enhancement, corporate renewal, strategic repositioning, transition into new market segments, acquisitions & divestitures, and equity capital investing. We develop the transformation plan, then manage and grow the company to prepare it for 'cash out' at maximum value. We take a lead role in managing a corporate renewal or interim management engagement, provide strategic focus, operational counseling, M&A support, or raise capital. We are in the process of raising the Strategic Equity Capital Investment Fund to invest in undervalued companies where we can take control. We look for deal flow where opportunities exist to capitalize on now stalled investments. The venture will selectively invest in companies that can provide products at competitive price; where SEC Fund can provide professional management, sales and marketing strategies to increase value. Mr. Collard is special adviser to and was co-manager of $80 million turnaround management investment and privatization fund he helped raise. SMP formed an alliance with the H.L. Pettyjohn Company to form Euro Enterprise Management, LLP; to provide services in U.S. and Central European Markets. The purpose of the venture was to advise investors on transactions; raise funds to provide capital to invest in turnaround situations; provide board level direction and turnaround management expertise to troubled or nonprivatized companies; to advise governments, their agencies, company leaders and fund managers on privatization, successful turnaround activities, and technology reinvestment. The partnership won Slovene Special Restructuring Programme (SRP); a program designed to manage a Restructuring Investment and Asset Management Fund totaling 60 million ECU (about $80 million U.S. dollars), invest in and manage enterprises that have not been successful in their privatization and turnaround efforts to date. This program is sponsored by the Slovene Government, the banks in Slovenia with troubled portfolios, and the European Bank for Reconstruction and Development. The EBRD is providing 30 million ECU in capital (cash) in return for preferred equity shares and the bank(s) or government will provide at least 30 million ECU in asset ownership in return for common equity shares. The fund can possibly grow to 50 million capital plus 50 million assets, based on need. The structure of the fund is modeled after the venture capital investing concept popular in the US. The partnership [in essence an industrial holding company] will invest in selected companies, serve as board members and advisors to management, provide strategic focus and market positioning expertise, and sell or privatize companies at a point in the future. Mr. Collard assumed the interim COO role and a board member of Sowers Printing Company, $8M privately family held manufacturer of commercial printing and lithography services, provider of sheet fed and heat set web printing, fulfillment, art, design, and PrePress services, for commercial customers in the Northeast, and Mid-Atlantic markets, with 80 employees. They had not grown in size at the value-added line in over five years, and failed to keep pace with change to a digital future. They had an ineffective sales force, a cover the cost of plant focus, were loosing money, the market was changing and being taken away from them, the bank called the line of credit and imposed weekly certification of covenants, the owner wanted to retire, they were in desperate need of new leadership. A turnaround situation disguised as a transition. We restructured the company, engineered the turnaround, jump-started sales and increased revenue volume by 30%, hired general manager and sales manager, hired eight salespeople to fill new territory segmentation, implemented 24 hour return on all estimates, increased productivity by 20%, returned to a competitive posture, implemented incentive compensation program plant wide, implemented quality control system, applied fixed and variable cost analysis modeling concepts to predict the future and improve credibility with the bank, and changed plant attitude. The company recognized four straight months of record bookings, daily WIP contribution is at record levels, profitability and positive cash flow has returned, sales are at an annualized run rate of $10.5M, and can achieve $12M next year. The bank has returned to quarterly certification. The equity value of the company is growing and the management team is in place to provide an annuity for the owners, or it can be sold. Mr. Collard became President, Chief Operating Officer and Board Member of Delta Data Systems Corporation (DDSC); a Strategic Management Partners, Inc. Engagement. DDSC was a $25M NASDAQ traded manufacturer of microprocessor based computers and peripherals, provider of engineering services, and secure value added systems for US Government, NATO countries, prime contractors. With low sales in a shrinking market, losing money, bank and trade credit problems, in need of new capital - the classic turnaround situation. We engineered the turnaround and transition from "product to market" to "integration services" orientation, managed operations, 220 employees, P/L, cash flow and bank relations. Negotiated payment moratorium with trade creditors, downsized to core talent level from which to rebuild, divested UK and German subsidiaries to raise $2.4M, divested Service division to raise $1M, expanded distribution channels, built $6M backlog, introduced products, reduced out of collateral A/R by $1.3M. He managed Commercial Operations of an aerospace contractor - $20.6M revenue operation of 7 regional and 12 field offices with 70 sales and 54 support personnel servicing 130+ customers with manufacturing and banking software solutions. We shifted focus from professional services to systems integration solution sell, and streamlined cost and burden structure resulting in turnaround from ($2.5M) loss to $3.2M profit - grew unearned revenue reserve $2.1M - Negotiated 4 wins totaling $76.5M - backlog growth of $53.5M. He turned troubled hospital information systems division from ($2.4M) loss to $1.8M profit, completed contract implementation, grew sales to $7M and sold the division to Baxter Travenol for $5M and a profitable return for the owner. As Special Advisor to Chairman of the Board and CEO of $59M Engineering Services contractor in a federal set-aside program with 660 employees, providing Systems Integration, Facilities Management, Communications Networking Services to government agencies; repositioned company to plan for realistic expectation of growth, developed management team, increased win ratio to 45%, and entered the commercial marketplace at a controlled and profitable rate. They had not won a contract in 4 years, and never in the competitive arena, were losing money, cash was gone, the bank called the loan, and they wanted to graduate from the program, and prepare for competition in the commercial and international arena. Developed mission statement, strategic sales and marketing plan, implemented an incentive based compensation scheme, closed two major wins, and divested an underperforming RD software operation for $3.6M. As Special Advisor to COO of $33M Engineering Services contractor with 360 employees providing weapons systems development and deployment support to Air/Space segments of the Military, SDIO, NASA, and National Labs; repositioned the company to enter environmental market and bring in new business at historic win rates. They had not won a contract in 3 years, were in cash flow difficulty, and wanted to shift from defense into other areas. Developed mission statement, strategic planning process and Bid Information Review process, implemented an incentive based compensation scheme, closed three major wins, and divested underperforming international subsidiary for terms totaling $10M. As Vice President and Deputy to President of $200M Division of Computer Sciences Corporation, Mr. Collard lead a P/L Activity chartered to build profit center. Identified strategic business initiatives, devised plans for capturing and implementing strategic programs; including 1) Developed plan to enter Commercial S/I market - $4M revenue booked; and 2) Negotiated AT&T teaming alliance on Treasury TMAC - $1.8 billion DPA to equal $1.4 billion award in 1991. Mr. Collard was an Executive Director assigned to a Special Task Force formed by the president of Martin Marietta Corporation. As a member of an eight person force he developed strategic and tactical transition plans to enter the Commercial Systems Integration Market utilizing professional services resources and manufacturing software. In effect a Federal to Commercial transformation which would utilize a common pool of resources and maximize their overall productivity. As Director of New Business Development, reporting to the President, he provided strategic planning, advance target marketing, situation analysis and action plans, identification and contact of acquisition candidates, and transaction negotiation. Accomplishments included 1) Acquired Mathematica for $35.5M - DBMS and productivity S/W; 2) Acquired Oxford Software $6M - productivity S/W; 3) Developed formation plan for systems integration business unit; 4) Created and implemented win strategy resulting in a $102M Win of DOL Contract and $225M Win of Navy Contract. As Executive Director of Systems Integration Programs, he established, structured, built start-up business unit to pursue computer, communications and systems integration programs in Federal and Commercial sectors. Grew to $14M revenue, $56M firm contract backlog, 80 employees and subcontract personnel. Managed P/L, bid selection, capture planning, marketing, systems engineering, project management, and corporate interface. He directed the procurement cycle, Win, and implementation of $8.9M contract - services/products of 22 vendors - software build for the Army; which booked $5.4M revenue in the 1st year and $6.2M 2nd year revenues - grew program value to $30.1M with 16.5% PBT after reserve - $18.5M backlog. Mr. Collard is credited with building a $350M pipeline of qualified business - which resulted in over $100M subsequent added wins. As Manager of Business Development, he restructured pricing algorithms and cost methodologies in support of sales for Data Systems Division to transition from commercial operations into the federal government marketplace by selling remote computing services and software support. During a 14 month period the division won 12 major multi-year contracts that produced over $370M for the company during full contract life. As Chairman, Turnaround Management Association, a non-profit organization with over 2000 members and 24 chapters in United States, Canada and International he grew the organization by 50% in one year [the organization doubled in size during the four years he was responsible for public awareness or was an officer], established the practice of corporate renewal as a management science, improved public's awareness of the profession, implemented Certified Turnaround Professional (CTP) program, postured TMA for growth, installed accountability and returned the organization to fiscal positive cash flow status. 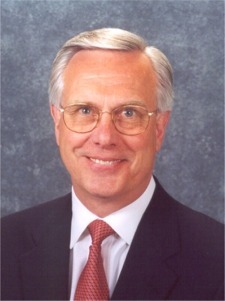 Mr. Collard was a self employed consultant providing computer simulation and parametric modeling, financial and viability analyses, and valuation services. He developed and automated new methodology to value the loan portfolio, prior to resale, for Security Pacific Mortgage Corporation. He helped several companies and individual investors acquire companies, property and investments. Mr. Collard was a financial analyst providing operational auditing, investment and disclosure analyses, tier structure and tax consequence analyses, and negotiating transactions for Trans Union Corporation, a diversified holding company. The activity was part of a plan to restructure the holding company and posture for future growth. The assignments were worldwide and included 24 acquisitions, 4 divestitures and 4 start-up activities totaling more than $600M in revenue or leased asset size, and over $400M in price paid or received. As an operational auditor for the firm he received formal training in advanced auditing procedures from Arthur Andersen and Co. Copyright © 1996-2008 Strategic Management Partners, Inc.